Eminent has returned for its annual visit and this year and I have chosen Xiang Yao, or more commonly known by her pen name, Xiong Dun（熊顿）. 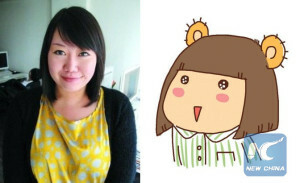 She is a Chinese cartoonist but not in the traditional sense of Stan Lee or Charles Schulz. Her eminence does not come from her world-renowned name or her extraordinary art skills; the way she chose to live her life despite being burdened with a disease inspired many and is what gave her the title of an influential hero. In November of 2011, Xiong Dun was diagnosed with non-Hodgkin’s lymphoma, cancer in the lymphatic system cells. Once she started treatment, she launched a webcomic series dedicated to documenting her journey titled 滚蛋吧，肿瘤君！Translating to Go Away Mr. Tumor. 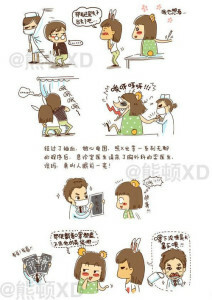 Through her comic, Xiong Dun showed how optimistic and lively she stayed while fighting a battle for her life. Her bubbly character exceeded the norms of Mary Sues and outlined the mindset of the author during her journey. She faced her struggles with a smile and marched through with ground-shaking steps that would lead her towards her future. While keeping the plot true to Xiong Dun’s life, she made sure to sprinkle in handfuls of jokes and comedic relief. Her influence comes from her strong and unwavering mentality. Something as horrible as cancer can’t break her down while most would be blinded by their fears, become fixed on the idea of imminent doom that their future would spiral into. Xiong Dun acknowledged the joy and bliss of living and made her remaining time on earth the best it could be. Xiong Dun’s unique sense of humour allowed me to connect to her. The image she portrayed of herself is what I wish to leave on other people, a girl who can put a smile on other’s faces. Being able to draw a smile or a laugh out of somebody is very fulfilling and gives me the encouragement that I can make a difference in people’s lives. While I’m not the most outgoing person there is, I hope that my quirky drawings can brighten someone’s day, just like how Xiong Dun’s comic lifted the spirits of her readers. What also drew me to her is that she isn’t a world class famous celebrity. She was able to inspire millions of people from her short silly comics on the internet. Everyone knows I’m a quiet and reserved person and I don’t strive to be the very best like no one ever was. Xiong Dun was still able to leave a legacy while staying in a medium level of fame. Her positivity is something I wish to emulate. The spark that she projected onto her readers brought many of them out from the depths of anxiety and depression. I tend to be stubborn with my mindset while dealing with inconveniences. Through Xiong Dun’s optimism, I wish to change my outlook on life and follow suit with her positivity. While her story is about a serious subject of dealing with cancer, she stayed focused on the bright side. If the readers cried, Xiong Dun made sure they laughed ten times as much. In November of 2012, only one year after Xiong Dun’s diagnosis, she unfortunately lost her battle to cancer and her “to be continued” came to an end. Millions of her readers all grieved but applauded her bravery. Xiong Dun was never afraid of dying and kept a good heart until the end. 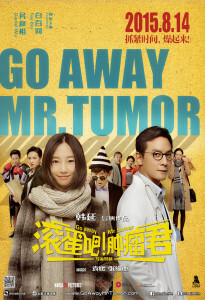 In 2015, three years after Xiong Dun’s death, Go Away Mr. Tumor was released as a comedy-drama film based off the webcomic. The movie was a hit in China and made sure to keep the authentic personality of Xiong Dun. My goals for this year’s Eminent is to challenge myself with getting Xiong Dun’s name out there to the audience. Since she isn’t as widely known, it will take a heartwarming script and a good act to reflect her optimism and positivity on stage. The struggles with researching Xiong Dun is that I don’t have many resources. The film, a few articles, and her comics are the only source of information I can get. Most of my work will have to be interpretation but I look forward to this project. Eminent is what I shape it to be, just like how Xiong Dun shaped the last months of her life. For my last year of TALONS, I choose to make it a year I will never forget.